The Samsung Gear S4 rumor mill has recently begun spinning, with information regarding Samsung's upcoming smartwatch trickling out slowly, but steadily. Recent reports claim that the Gear S4, code-named Galileo, is being developed in the United States and that the LTE variant of the smartwatch will be offered by all major carriers in the country – AT&T, T-Mobile, and Verizon. But what's far, far more interesting than this, is that the Gear S4 will likely be available in two sizes at launch, much like the Apple Watch, so as to better suit the needs of its users. Gear watches have thus far been available in a single size, that's changed between models, with many people clamoring for more options to chose from. Well, seems like Samsung has heard their voice and may, indeed, launch the S4 in two sizes, though what these will be is too early to say. The Apple Watch is available in 38mm and 42mm sizes, though it has a rectangular case, while Samsung's watches have moved away from their more angular roots and have become round in their latest iterations. The Gear S2 Classic has a 39.9 mm case, the S3 Classic has a 46 mm case, and the more recent Gear Sport watch has a 42.9mm case. The S3 Classic and Gear Sport are in the same ballpark, though you'd be surprised what a difference 3mm can make for a watch case. The S2 Classic is the smallest, but it has the greatest chances of looking appropriate on as many wrists as possible. Fact of the matter is, many people just prefer smaller watches, and that's why Apple has limited itself to 42mm as the largest case size for the Apple Watch. Now, on the other hand, 38mm may be a tad too small, but that's why you get a second option. Launching the Gear S4 in two sizes would be a great move on Samsung's part. The questions is, what sizes and with what design? Design is actually really, really important for a smartwatch, as you want your product to look good on as many wrists as possible, and on both sexes. The Gear S2 (not the Classic version) is a great example of that. Thanks to its smaller dimensions and more neutral design, it has the greatest chances of looking good on a large number of people. Of course, also providing a bulkier version for people with thicker wrists would be the best course of action. Seeing as how the entire tech industry is going for bigger screens in everything, it wouldn't be too surprising if Samsung is planning the larger Gear S4 model to be, well, quite bigger. It's too early to tell at this point, but the company may bet on a Gear Sport-like case for the smaller model and something even bigger than the S3 for the big one. 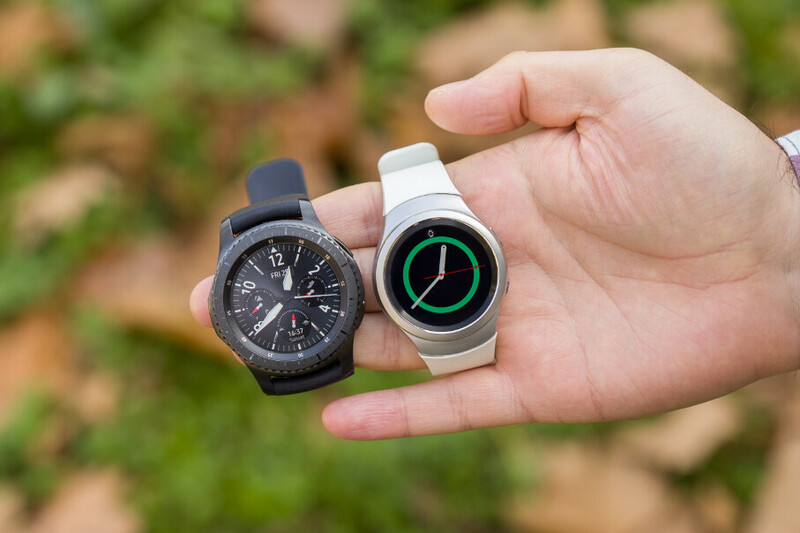 As for when to expect something official from Samsung on the Gear S4, the company has the habit of releasing its wearable devices on a yearly basis at the IFA trade show in Berlin, Germany. 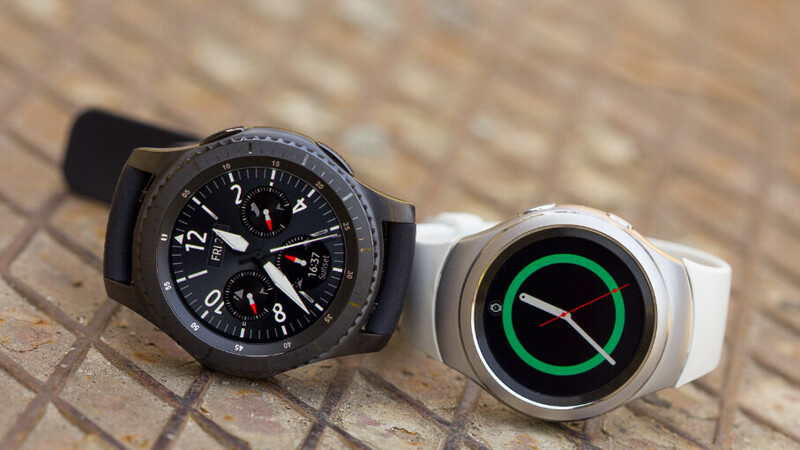 The Gear Sport was introduced last year, while the regular Gear S3 and Gear S3 Frontier came in 2016. Following this pattern and the increasing flow of rumors surrounding the Gear S4, it's a relatively safe bet that the Gear S4 will be unveiled at this year's IFA trade show. This becomes even more plausible once you consider the rumors that the Galaxy Note 9, Samsung's anticipated next heavy-hitter, will reportedly be announced earlier in August and not at IFA 2018 as the South Korean giant will look for more dedicated media exposure. To get up to speed with all the rumors and information about Samsung's upcoming smartwatch, check out or Gear S4 rumor review! Dec 12, 2018, 6:35 AM, by Milen Y. The Gear S2 was a nice size in my opinion. My guess is they'll have 40mm and 46mm options for the Gear S4. I think the S2 could have been just a little bit bigger. I preferred the S3 size. But people have different sized arms. The Gear Sport is round. There isn't much different in functionality between s2 and s3. Size is the biggest factor so this is a closer comparison to the two sizes on apple watch than the 'writer' implies. Sounds like the will discontinue the s2 in favor of the two sizes with s4 which makes sense. Every two to 3 days isn't constantly. No one's demanding you get one.